With more than 3000 devices being certified by Google in 2018, it’s becoming difficult for device makers to differentiate their products from the competition. We’ve watched OEMs work hard to provide a bezel-less display by incorporating different variants of Notches, we’ve seen companies experiment with slider mechanisms. But all these implementations are not perfect, For Example, A notch is intruding while watching videos or playing games, and on the other hand, a mechanical slider mechanism is not durable and could possibly fail after a few thousand repetitions. 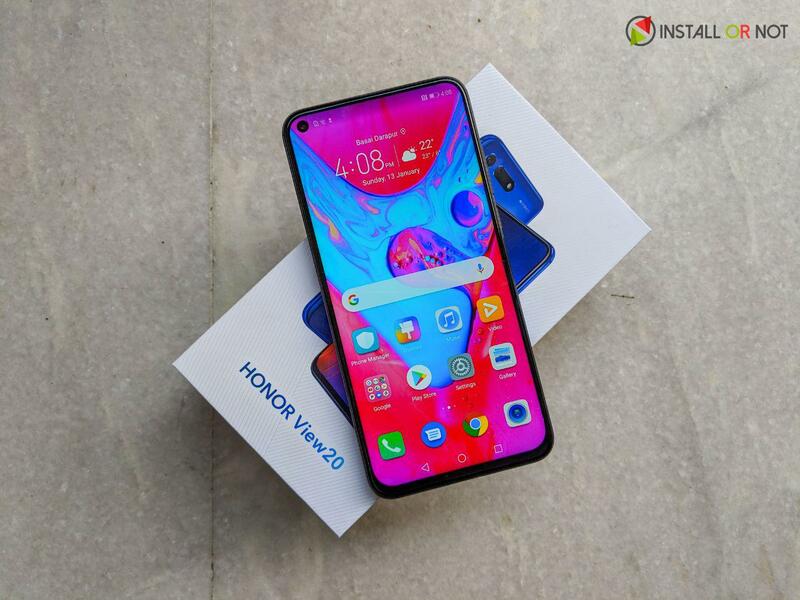 Honor came up with an intelligent implementation, their latest flagship device, the Honor View 20 that has a punch hole in-display camera. Rather than dipping into the screen like a cupboard in a floor plan diagram, the camera sits behind a 4.5mm transparent circle in the display. The View 20 is an enormous upgrade. It’s still an “affordable flagship” a OnePlus competitor if you will. But a lustrous new glass design, futuristic hole-punch display and legitimately great 48-megapixel camera make for a much more exciting product. The View 20 is the first smartphone from Honor with a display hole, so there’s a lot for us to talk about there. The Honor View 20 is one of the first phones globally to house a Punch Hole Display and it’s the first in India. 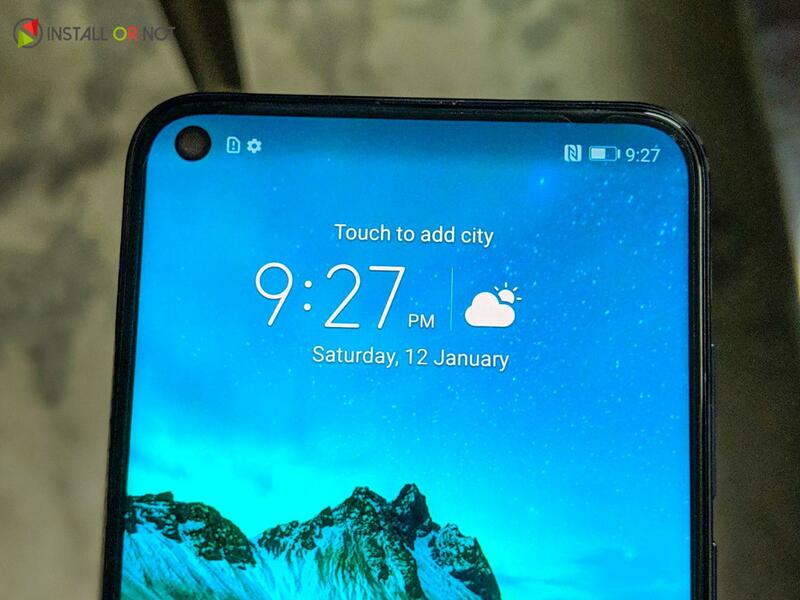 The display hole on the Honor View 20 is about the size of the smaller waterdrop notches except its position has been shifted to the left. 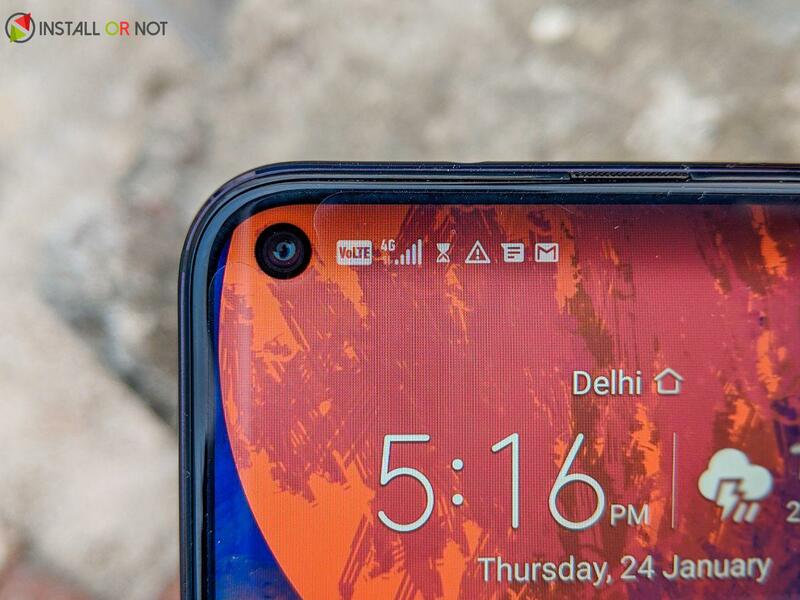 When compared to a waterdrop notch, there are two main benefits: The status bar is continuous so a greater number of notification icons should be visible, and they’re less intrusive when playing games or watching videos. 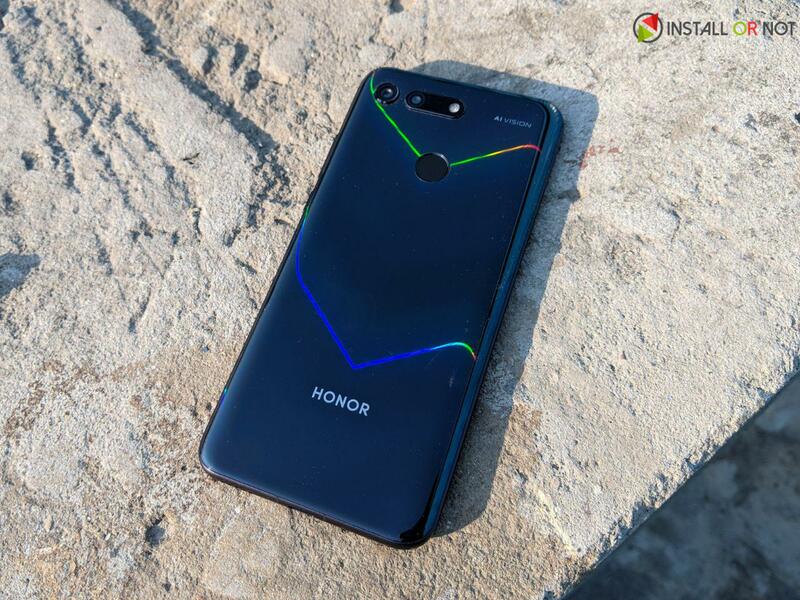 Honor seems to have nailed it on its first try. There’s just a small 4.5mm circle removed from the screen to fit the single front camera. And, crucially, it sits just where it should. And if you think the punch hole looks ridiculous, you can simply block it off just as you would a notch. This covers the area with a black bar, but space is still used for notification icons. The Honor View 20 has an interesting V-shaped pattern that appears when light is shined on the back at an angle. The V-shaped pattern is not easy to spot but once it becomes prominent at a certain angle its really hard to put your eyes off it. The effect isn’t at all subtle, and that’s great because it’s beautiful. This is one of the few smartphones I will hesitate to put a case on top. The Honor View 20 is a substantial improvement over the Honor View 10 in camera department. Honor has packed a 48MP Sony IMX586 sensor the first device to do so as well as a Sony IMX316 3D Time-of-Flight camera, on the rear of the device. The single front-facing camera is a 25MP Sony IMX576, the same one used on the Huawei P20 Pro and Mate 20. A high megapixel count is nothing new. 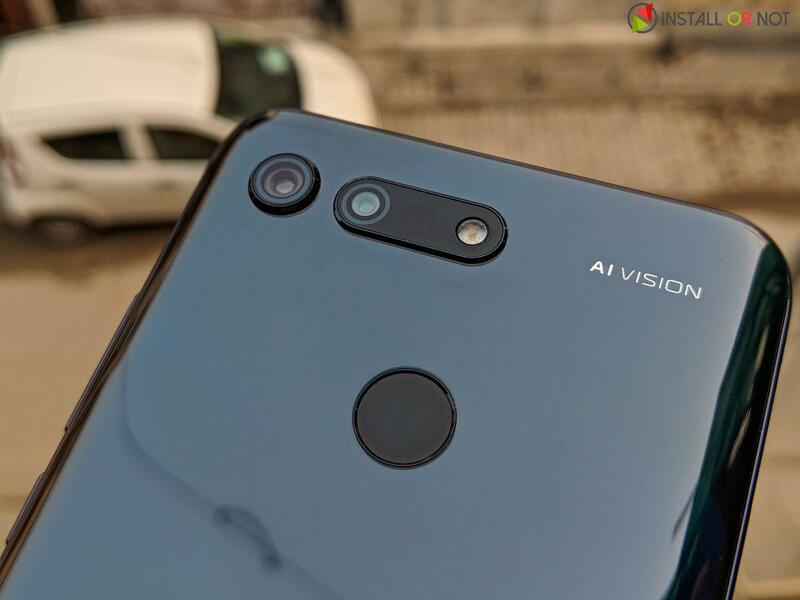 After all, the Huawei P20 Pro, Huawei Mate 20 Pro, and Huawei Mate 20 X all have a 40MP Sony IMX600 primary rear camera sensor. TOF 3D Sensor: The Honor View 20’s secondary rear camera is a Time of Flight sensor that measures the depth by resolving the distance between the ToF sensor and the object based on how long it takes the light to travel. ToF camera sensors are used to enable 3D mapping at a distance. Honor is using the 3D ToF sensor for 3 features: 3D shaping, 3D motion-controlled gaming, and AI calorie counting. 3D Shaping: This is just like beauty mode for the whole body and it gets activated when you switch to portrait mode. The 3D mapping data provided by the ToF sensor can make someone look thinner keeping the background look normal even while altering the proportions of the person in front. 3D Motion-controlled Gaming: The ToF camera can be used to detect your body’s motion when playing certain games and the Honor View 20 can literally act like a Microsoft Kinect. Honor ditched the EMUI for the Honor View 20 and the device runs Magic UI 2.0.1 based on Android 9 Pie. Honor has worked really hard optimizing their UI for a couple of years now and seems like its almost perfect now. Let’s say, Magic UI is the prettiest Android skin, and it is fast, usable and mostly inoffensive. I switched my primary number from Pixel 2 XL to Honor View 20 and guess what I don’t miss my Pixel 2 XL in any way. The Private Space feature lets you set up a special zone on your phone that you can access either via a separate pin or a different Fingerprint. There’s also the App Twin feature that lets you set up two Instagram, Facebook or WhatsApp accounts on the same device. The Honor View 20 has a HiSilicon Kirin 980 chipset. Huawei’s Mate 20 Pro uses the same CPU. It has eight cores but, unusually, splits them into three groups rather than the usual two. There are four Cortex-A55 cores clocked at 1.8GHz, two Cortex-A76 performance cores at 1.92GHz and another two A76s at 2.6GHz. This effectively gives the Honor View 20 more gears, which should theoretically help with power consumption. 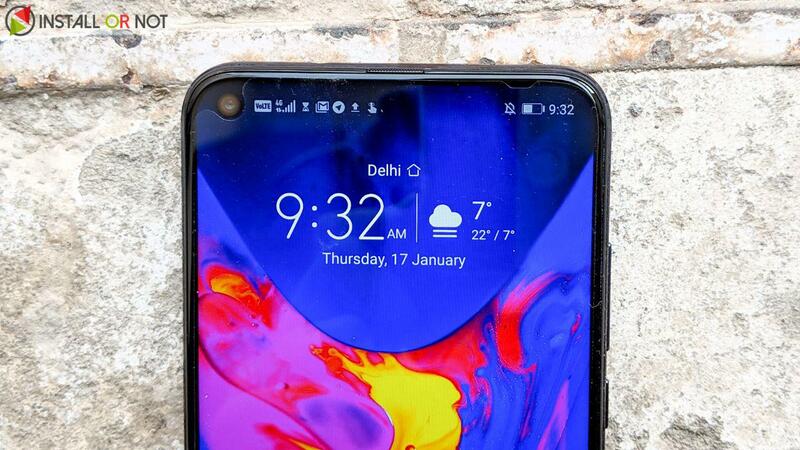 The Honor View 20 is equipped with GPU Turbo 2.0 which is a per-game optimization technique that streamlines processor load, for genuine performance benefits. However, it requires specific optimization per title by developers to get maximum benefit of this feature. Games currently on the list include King of Glory, Crossfire, Knives Out and PUBG. That last one is probably the most important. 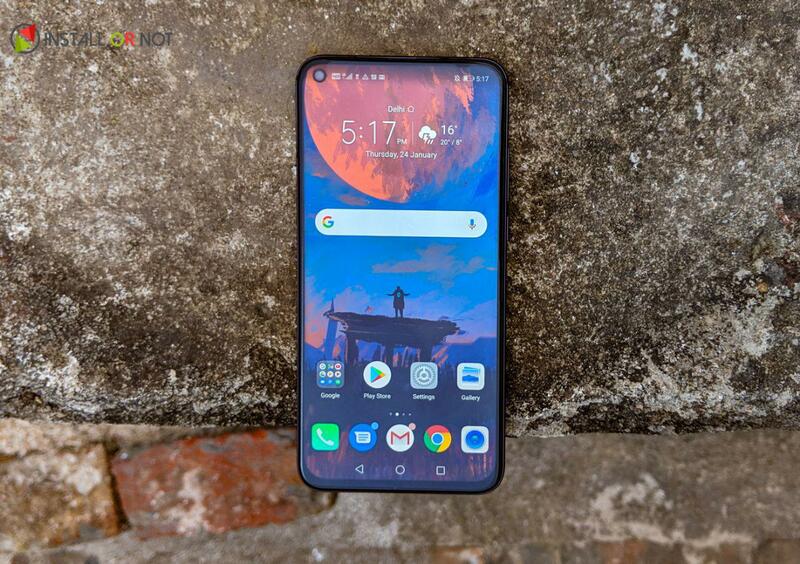 Overall, we are highly impressed by Honor View 20 and what it has to offer. The device is launching in India on 29th January.